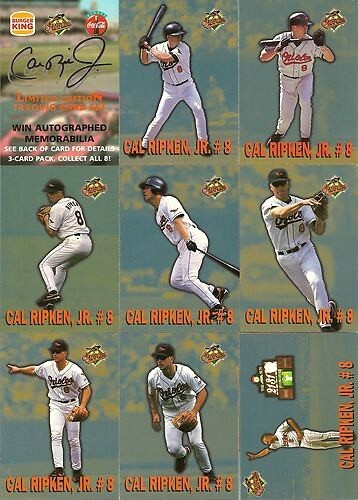 Limited edition Cal Ripken baseball card set co-sponsored by Burger King and Coke in 1997, distributed only in the Baltimore area. 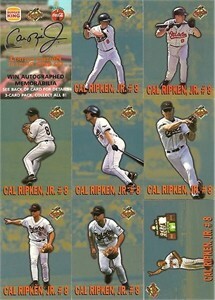 8 cards (not counting the title card). NrMt-Mt or better. ONLY ONE SET AVAILABLE FOR SALE.